I am in the market for a new coffee table. In our tiny apartment, we basically use our coffee table as decoration, storage, workstation and, of course, a coffee table. Our eight-year-old Ikea table has finally started to break down and we need something to replace it. Here's the problem: I can't seem to find any options that are either a) attractive or b) reasonably priced. If I like it, it costs $600. If I don't like it, it costs $150. What the heck, people! So now I am thinking that DIY might be the way to go. 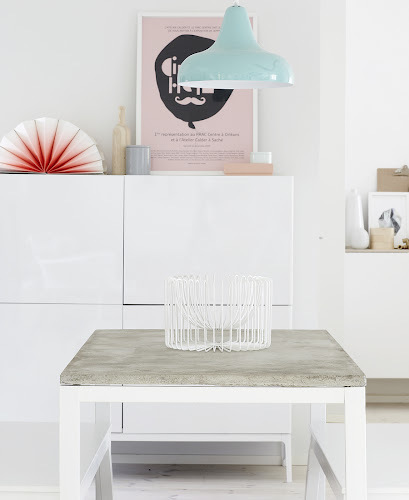 Particularly after I saw these two beautiful projects featured on the Finnish blog Weekday Carnival (top: table with Ikea legs, bottom: concrete-topped table). Unfortunately the blog is mostly in Finnish but the general idea remains: take some pre-made table legs and slap on a cool table top. What do you think? 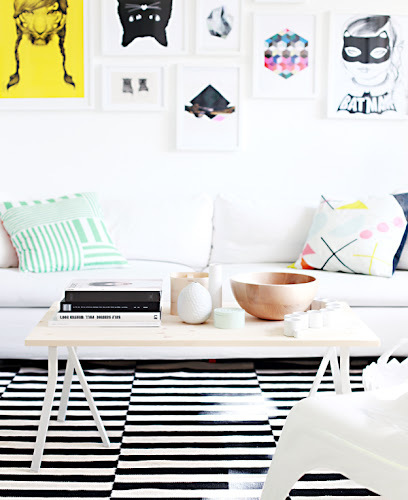 Do you have any suggestions of where to find a good coffee table? Or other DIY projects?